For 2015 we will be covering the young horse clinic and novice xc in the Wednesday evening class lessons which start on the 22nd April. As with the clinics from previous years the cost will be £15 per session with a maximum of 4 riders in each group. We have tended to find the same people attended each clinic whatever we called them (some of our ‘young horses’ were getting decidedly long in the tooth) so thought it may be easier to try a more general lesson covering all 3 disciplines which people can duck in and out of instead of having to commit to three consecutive sessions. Give your horse the right platform to further his education developing a happy, trusting partnership. During this ‘back to basics’ course we will cover flatwork to improve you and your horses communication and suppleness, pole work for coordination and straightness, grid work to promote good jumping technique and introduce fillers in the show jumping tracks. 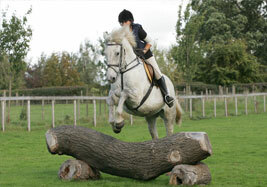 There will also be an introduction to XC, working towards jumping baby banks and ditches. 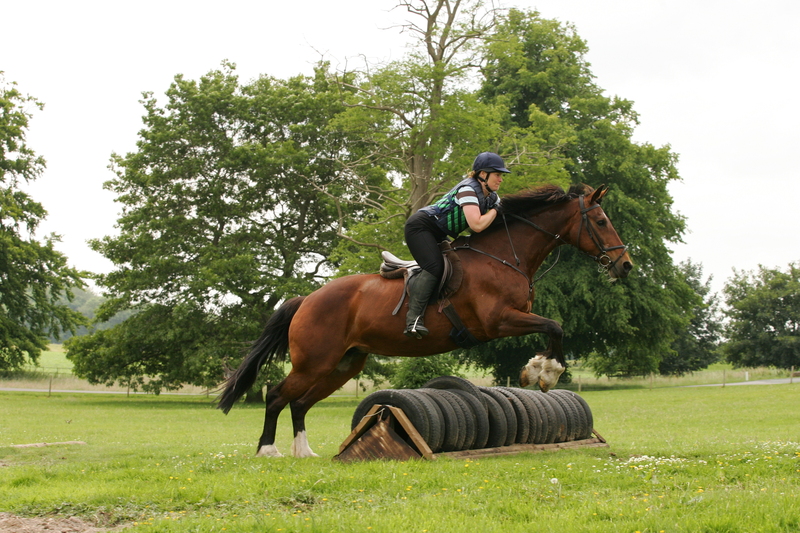 The course will naturally be tailored towards the standard you and your horse are working at. The clinic is progressive and priority will be given to those that can attend all three evenings. Maximum size of group – 4 riders. A fantastic introduction to safe XC riding giving the foundations to tackle your first XC course. This clinic will start in the outdoor school with various xc exersises to improve rider position and ensure the horse/rider partnership is happily working forward and listening to each other, and progress onto the XC course enabling riders to tackle small ditches, banks and a variety of fences with confidence. The clinic is progressive and priority will be given to those that can attend all three evenings. Maximum 4 riders per session.